My name is Jessie. I’m 28 years old and I’m from Toronto. I live at home but one day I hope to reach the milestone of eventually moving out. I have cerebral palsy which affects my arms and legs, my hand coordination, my learning, and my speech. I use many methods of communication, however my main method is my speech generating device, called a DynaVox. The LIFE Toronto program teaches young adults independence needed to fulfill a meaningful and productive life. During my first session in March 2013, I was ecstatic that I was going to be involved with a program. Since graduating from school, I’ve had a tough time transitioning from being a student and being involved in camps and programs to becoming an adult and seeing my active life shutting down before my eyes. Since joining LIFE I’ve became happier, more active and I started to have meaning in my life again. I was very fortunate that I was asked to be a mentor for the next two sessions I attended. As a mentor, I set a positive role model to the other participants. I encourage them to try new things and be amazing individuals. 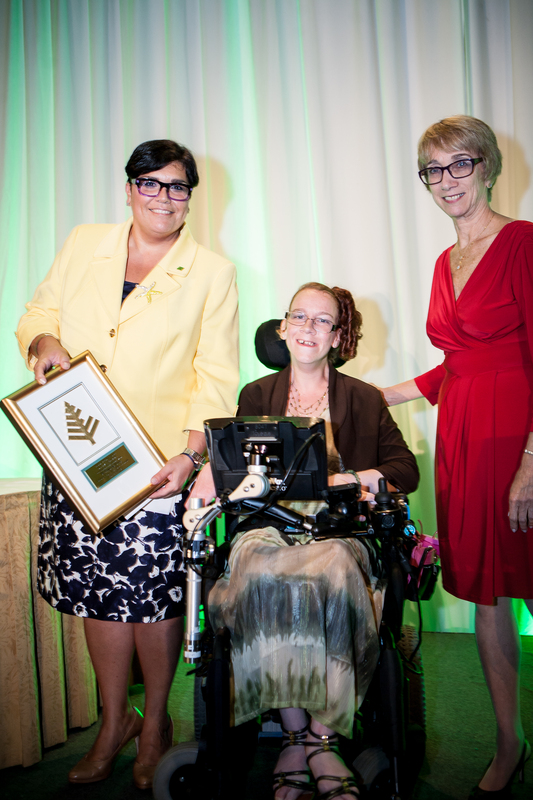 I recently had the honour to represent LIFE Toronto at the Ability and Beyond gala on June 12, 2014. TD Bank is March of Dimes best financial supporter and they have given much of their own time and effort to give to March of Dimes. I was given the privilege to present an award to TD Bank, as they very kindly donated just over $1 million to March of Dimes Canada. These funds contributed to the LIFE Toronto program. When I learned this, I was very grateful as this magnificent donation will only help LIFE Toronto program improve and grow. Knowing TD is supporting March of Dimes Canada LIFE Toronto program. 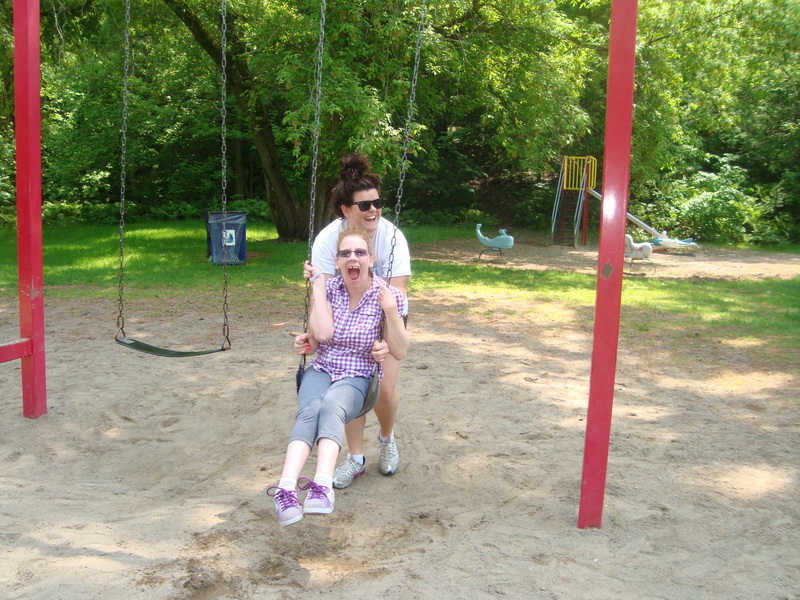 LIFE Toronto is an amazing program which combines fun and learning experiences. 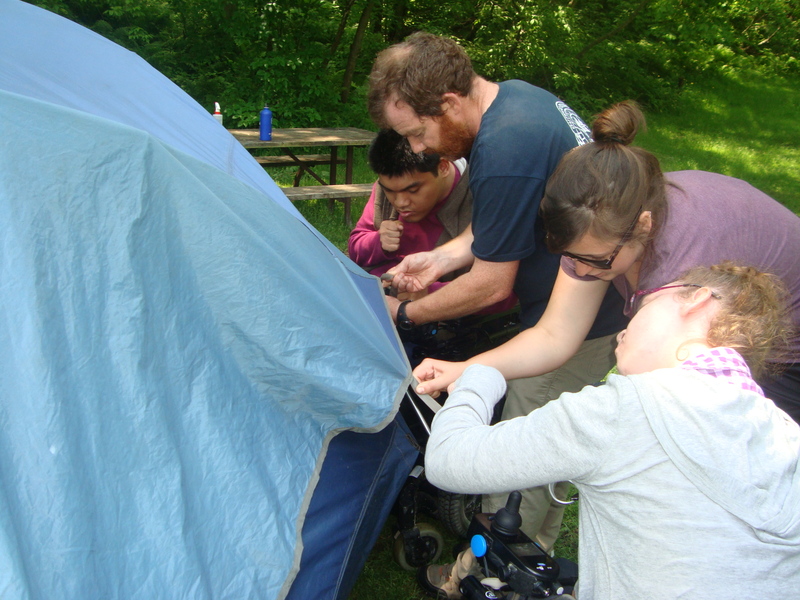 My favourite parts of the programs would have to be the camp out days with Outward Bound Canada, the TD Money Matters workshops and the Conductive Education sessions. Thinking back to these parts, all of them have contributed to my personal growth during LIFE. The Outward Bound programming showed me that anything is possible if I put my mind to it. During the day camp out I worked as a team to put up a tent without staff’s assistance for the first time and I also reached the milestone of swinging on a regular swing. I always look forward to each session and I enjoy seeing what I accomplish next! To learn more about LIFE Toronto Program please click here. If it wasn’t for curiosity created by his neurologist John Hurst may not be a volunteer with March of Dimes of Canada (MODC) today. After suffering a stroke in 1999, John’s neurologist said his speech could improve, but John was eager to find out more on how. He continued his journey on the internet, which led him to a speech-language pathologist. He learned from the pathologist about York-Durham Aphasia Centre (YDAC), and began volunteering there in 2002. While most of the volunteers at YDAC are not stroke survivors, John’s stroke experience certainly adds to what he brings to the program. 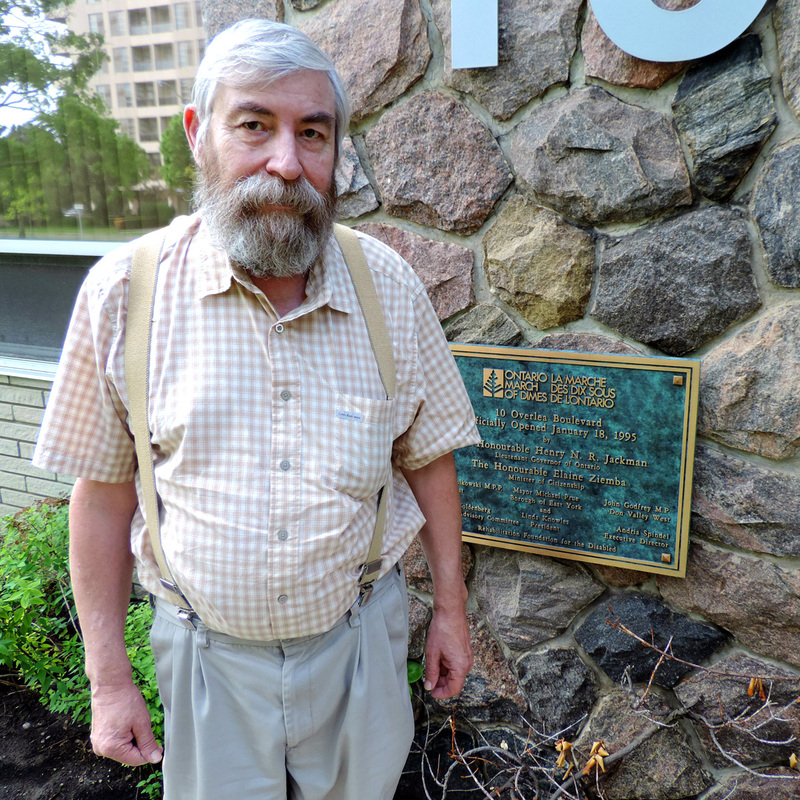 He has also been serving on the Board of Stroke Recovery Canada’s Toronto Central Chapter since 2008. John considers his aphasia diagnosis less severe than many. He overcame many weaknesses quickly and never required a wheelchair. While feeling fortunate about his recovery, John takes more appreciation seeing his children and supporting fellow stroke survivors. “Just giving back a little bit is something I can do and help people,” said John. While John knows from experience it’s impossible to make a complete stroke recovery he is optimistic about the progress that survivors can make.